I have asked this question multiple times before and no one has been able to give me a straight answer. SO here it is for everybody else incase some one was curious. You can see from the graph below that our stock map sensor is very sensitive/ erratic but does follow an expected trend line. Now knowing the stock voltage rap is it possible to totally eliminate the stock map sensor if one was to do something similar to how I am feeding the appropriate voltage to the stock computer based on the Greddy pressure sensor. I have been using this data to eliminate the Stock map sensor for over 5000miles now both on the Track (Time attack, DE, Auto X) and on the street. There have been a couple of other owners that have used this info with great success also. Next up is a TPS Voltage Vs MAP pressure calculation. Yes I know this can vary based on gear and environmental conditions, however this will get a ball park equation for those interested. This info could be used by those that are steeping up to a larger then stock TB where one is getting a TSP CEL for TPS lower then expected. This is happening because the larger TB diameter is allowing additional air flow with out changing the MAP voltage enough to get the stock ECU to increase its fuel trims. This increased air flow + lack of map voltage change is causing the car to run a little lean causing the CEL. Not lean enough to damage the car but does cause annoying CEL. 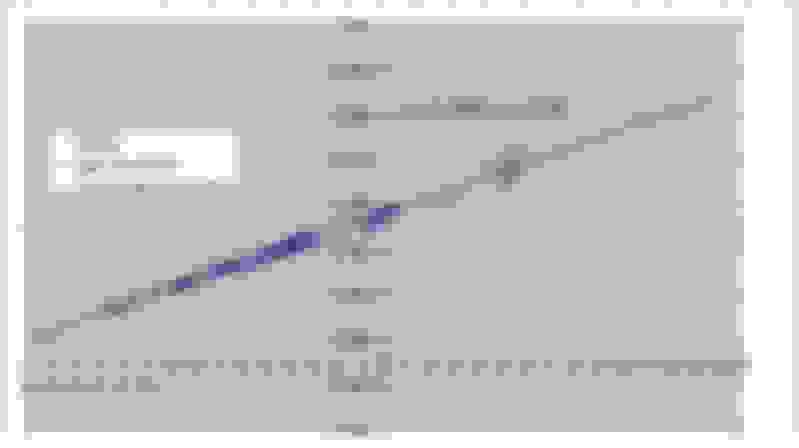 This CEL usually only happens at very small TPS angles usually less then 10% (absolute) TPS. All though I have seen it pop up at 16% TPS. I'm a little confused right now... that's the formula to send the proper voltage to the ECU by using the Greddy pressure sensor?!?!? How do you input that formula? I think I see the start and the end but I don't get what happens in between. If we make this sticky here is some more I did. The stock Honda sensor is actually very good, as it reads very slight changes in pressure and very quickly. Unfortunately by having this resolution and speed the total range is reduced and they are very susceptible to damage due to high energy pressure waves. These waves will cause the sensors internal diaphragm to stick which is why you need to wack it on occasion. Typically this would not be a problem when using the stock induction system which is typically tuned to reduce the power of the waves. Most auto makers use devises such as Helmholtz resonators and "tuned ari boxes and piping. This is why Greddy fro instance send s a snubber with its turbo kit. The snubber reduces the shock of high energy waves. So this being said I would recommend a new sensor to anyone with a modified inductions system. 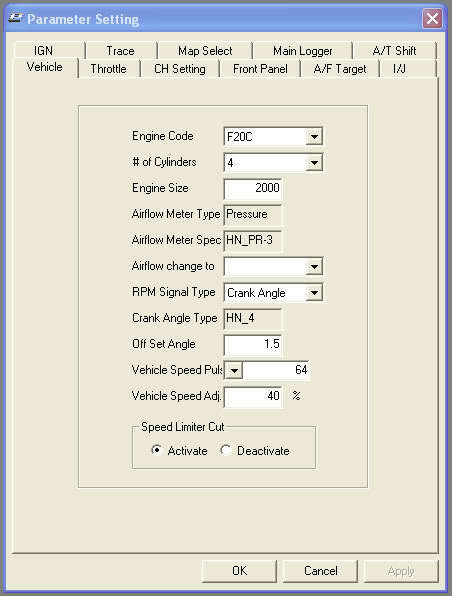 Second, under the Emanage Parameter Settings / Vehicle tab you can change the type of sensor and use one such as Science of Speeds 3bar or others 2 bar. Remember pick the lowest sensor pressure range you can when selecting a new one. Since you only have a 0-5V scale this will allow for better resolution. Check out this article form PLX it may help you choose a cheaper sensor alternative. To set up the Greddy Pressure sensor you need to get the sensor, sensor cable and the Emanage option port harness. Open the Parameter Settings / Front Panel tab and select the option port that it is attached to and select Greddy Pressure Sensor. Don't forget to send it back to the main unit when your done. Now you get to rescale your maps to accommodate for the new voltage scale. How many data points did you use?? I uses over 400 data points in the vacuum area and only couple in the positive since I was only looking to get the proper voltage to the stock ECU when under vacuum conditions. Even thought the stock MAP is capable of reading positive pressures I have and will always recommend a sensor that was specifically designed to read both positive and negative pressures. The stock Honda sensor is actually very good, as it reads very slight changes in pressure and very quickly. You should only need the sensor and the sensor and the main wire that goes fomr the sensor to the ULT only two pieces. Quick Reply: Stock MAP Voltage Vs Pressure.